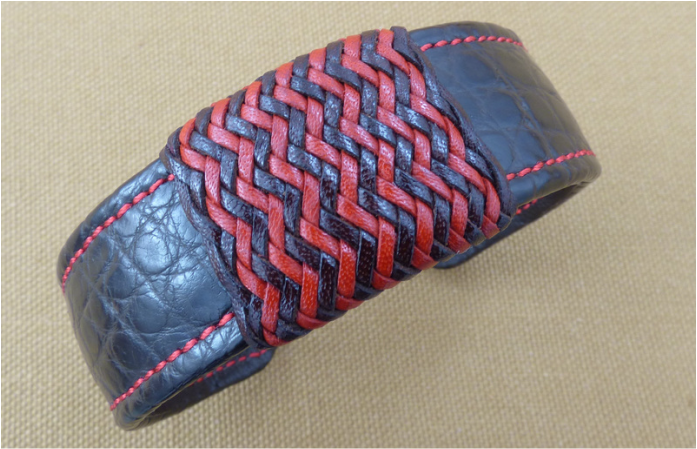 Alligator leather cuff bracelet features a red and brandy kangaroo leather button with herringbone interweave. Leather lace is .0550 inches (1.40mm) wide. As a point of reference 1/16th of an inch is .0625 (1.59mm) in width. 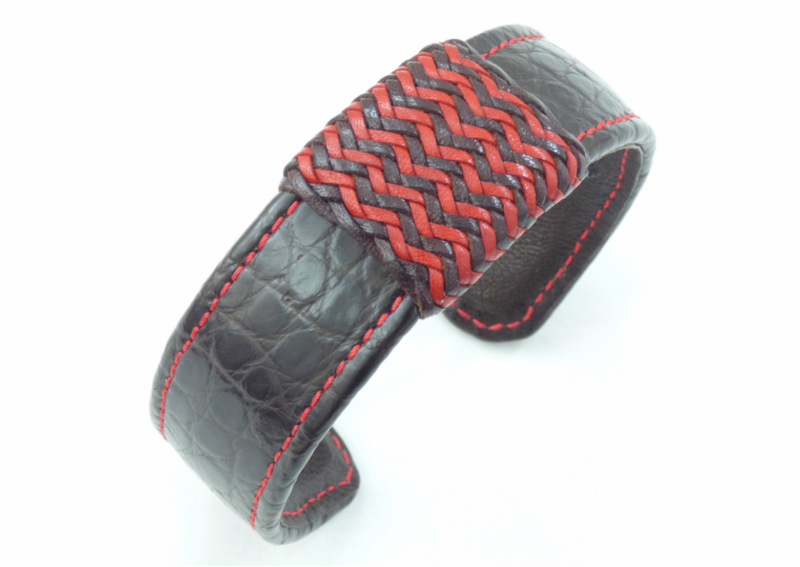 Cuff bracelet is leather lined and double needle hand sewn at 12 stitches per inch requiring 10 feet of red silk thread. 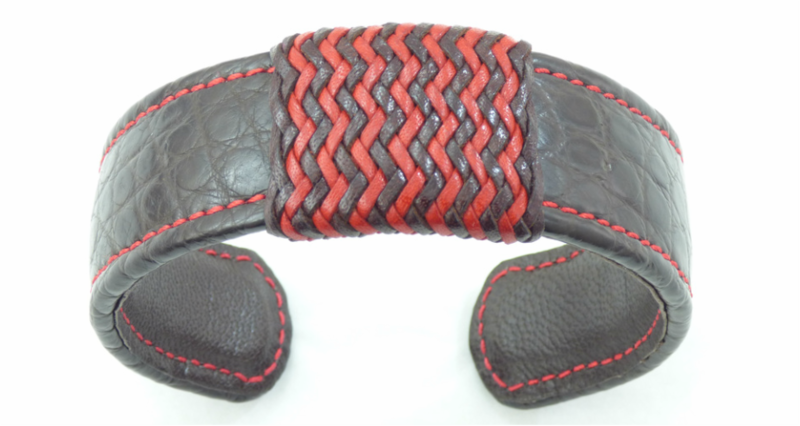 Alligator cuff bracelet is 14/16th inches in width.